Customer satisfaction is our #1 Priority. 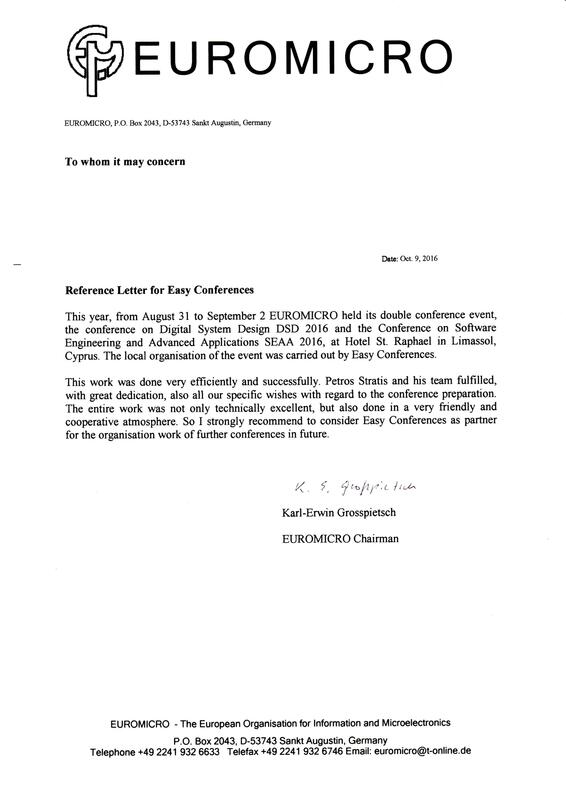 "I would like to therefore endorse the services provided by Easy Conferences, and recommend this company for a successful conference or workshop organization"
Using the services and technical support of the EASY CONFERENCES team has been a very pleasant experience. They undertook both a small conference of only 25 attendants and a mid-sized conference. The team of EASYCONFERENCES were extremely professional and effective .We are absolutely satisfied and look forward to many years and many instances of collaboration. 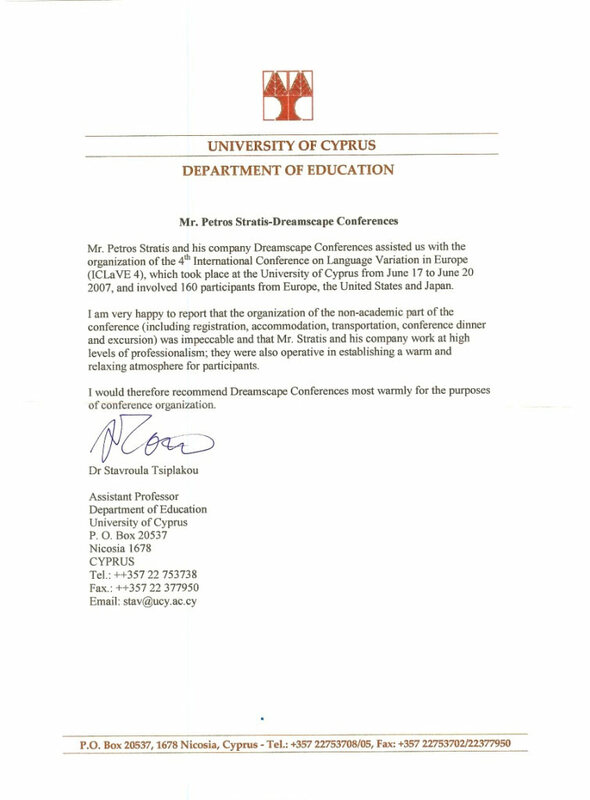 We were delighted to work with Petros Stratis and the EasyConferences team on the annual European Health Psychology Society (EHPS) Conference in Galway, Ireland during August this year. Looking forward for the future co-operation for the organising ICOAE2019 that will take place in Milano,Italy in July, 2019! We are extremely satisfied. Everything was perfect. The price is very reasonable, given the great service they provide. They were available, it seemed, day and night, seven days a week! The EasyConference team has proven once again to be the most reliable partner in the local conference organising industry... Α team to TRUST! Thank you all for the splendid collaboration. We were very impressed by their professionalism, nothing was ever too much trouble for Petros Stratis and his team. The conference ran smoothly and our delegates were very satisfied with the entire conference experience. The attention to detail, politeness and dedication is second to none. As Network Manager of the Open and Collaborative Science in Development Network, I am writing to highly recommend EasyConferences for your next event. The organization and service were excellent and we received many compliments from our visitors. It was probable the most successful IWBDG meeting we ever had the last 30 years in all aspects! 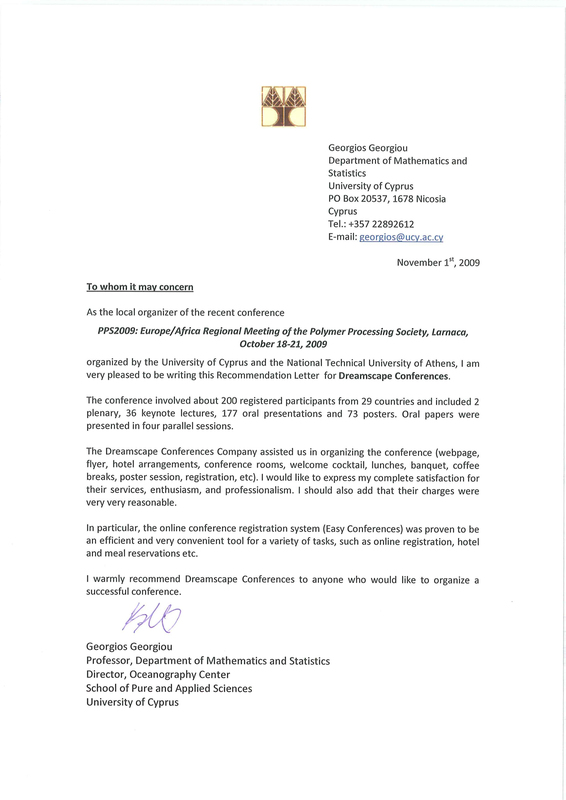 I am completely satisfied of the service of Easy Conferences for the financial management of the conference RC 2016 I organized. I would like to express my sincere appreciation to all easy conference team that supported the excellent organization of the savenergy conference 2017. Their main goal is the satisfaction of their clients and of the people attending the conference. Their ability to provide us with all the flexibility we needed was remarkable and extremely helpful. Overall, I have nothing but positive experiences working with EasyConferences. They are highly professional. I am entirely satisfied by the flawless and very professional service offered by Easy Conferences. I have already recommended their service to several colleagues. 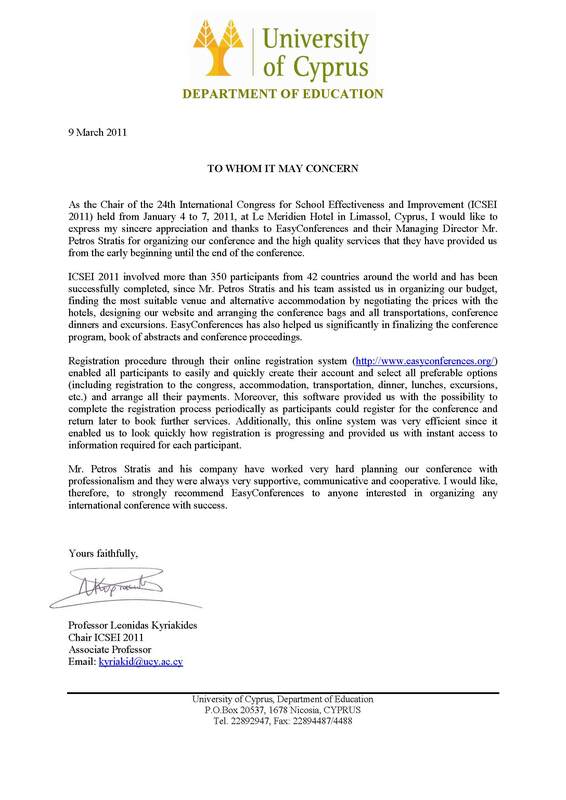 I would like on behalf of the ISCC executive committee to express our thanks for the excellent organisation of the conference, both before and during the conference. It was important to have a reliable organizing company of the highest standards that has international experience in its communication. 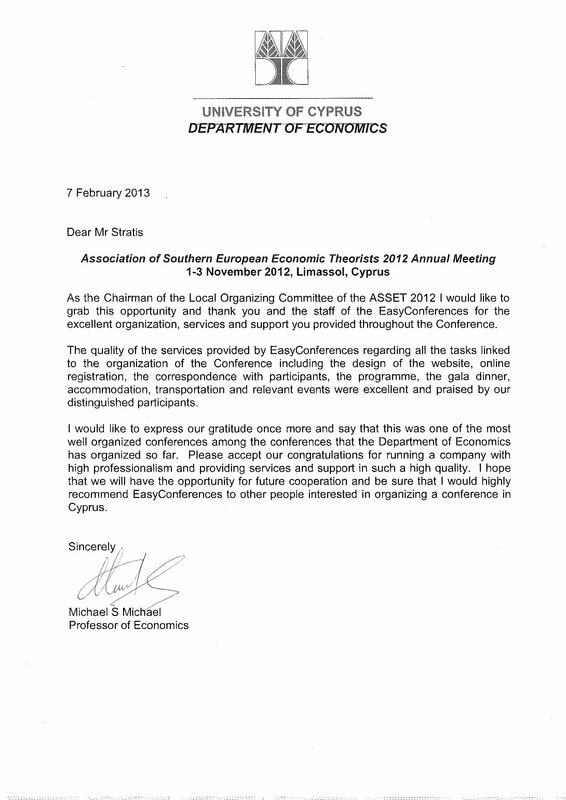 Easy Conferences showed high levels of professionalism with great support, communication and cooperation.